and in 3 other shops en 1 stall we use the same poster to publicize The Green bag lady in Tilburg. 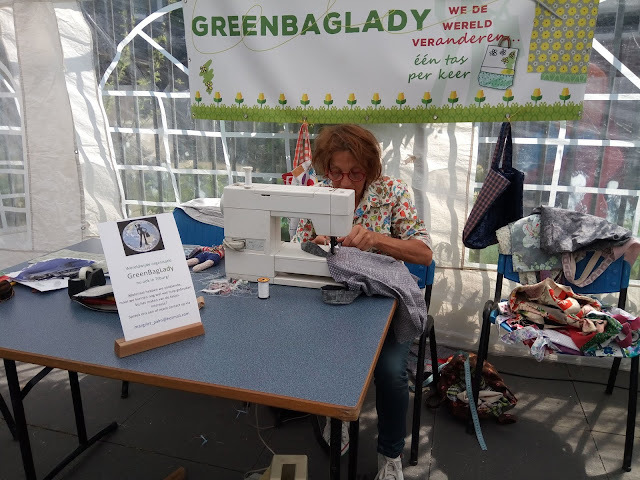 Its going very well, I met there by chance, two enthusiastic ladys from Texel, that was very nice, they promise me to make pictures from this local event and send it to me. When I have pictures, I send it to you. National Geographic declared the month of June to the “stop met Plastic” month, they asked people not to buy 6 plastic products : plastic bags , bottles, cups, straws, cotton swabs and cutlery. Every Monday evening the television has a program about this, I like that kind of initiatives. WONDERFUL!!! 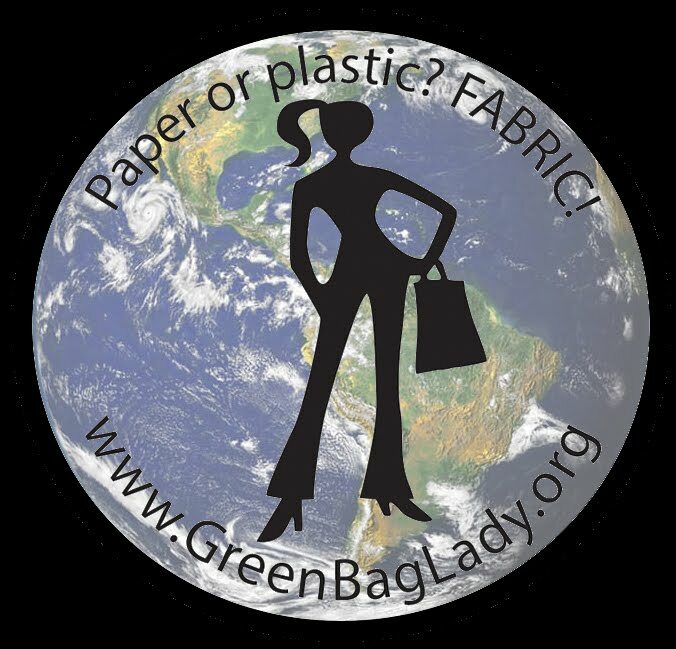 Green Bag Ladies around the world making change happen!